The Irish Times is partnering with Good Food Ireland for its upcoming touRRoir 2018 event in Galway. 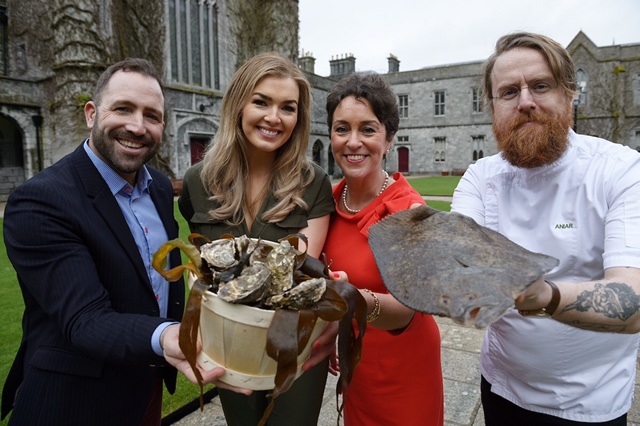 touRRoir18 is a cross sector global forum on food tourism and culture and it comes to Galway for the first time on April 23rd and 24th 2018 in NUI Galway. The event coincides with Galway’s designation as European Region of Gastronomy as so-called City of the Tribes continues to grow its international status in all three sectors of food, tourism and culture as the city and county builds up to Galway European Capital of Culture 2020.
touRRoir is the world’s leading international symposium bringing together thought leaders, experienced practitioners and change agents for a unique cross sector dialogue on how through the inextricable link of these three sectors, companies can grow business, local communities can flourish and destinations can ensure a more successful and sustainable economic future. “The Irish Times is delighted to partner with Good Food Ireland to promote touRRoir18. This unique event provides a great platform to showcase indigenous Irish businesses and complements our own promotion of Irish food, tourism and culture throughout the year through the Saturday Magazine, our new culture magazine TICKET and on irishtimes.com, as well as across many other platforms such as Irish Times Food Month and the Irish Times Theatre Awards,” says Laughlin Rigby, Head of Marketing with The Irish Times.